The director and CEO of Rafi Peer Theatre (RPT), Faizaan Peerzada has passed away due to a cardiac arrest today. Faizaan Peerzada, who is famous for giving popularity to puppet shows in Pakistan and organizing workshops under Rafi Peer Theatre, had a minor heart attack today in morning and was on way to hospital but could not survive. He belongs to highly esteemed Peerzada family in Pakistan and gained popularity for promoting Pakistan’s puppetry culture all across the globe. Faizaan Peerzada was a leading force behind Rafi Peer Theatre Workshop owned by the Peerzadas. 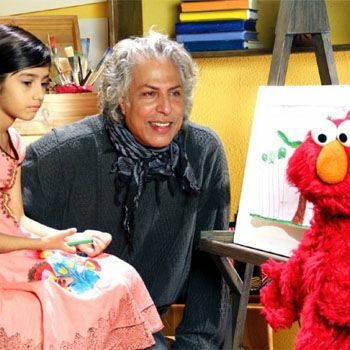 He had also remained highlight of biggest international news channels for his Urdu interpretation of “Sesame Street”, the “Sim Sim Hamara” show. Faizaan Peerzada has left behind his widow and two children. His funeral will take place at 3:30 pm at his green villas residence in Raiwand. Kimora Lee Simmons Did Not Marry A Russian!